Our buddy Ryan Monk at Fleeting Youth Records knows a thing or two about fuzz pedal and cassette tapes. So when r/cassetteculture—the subreddit for all things c/t– wanted to do a fuzz compilation, he was all over it. I wanted this to be about the type of genre/sound I love most and also showcase the physical format I dig the most. Fielding open submissions from all over the internet, Monk narrowed down 11o+ submitted songs to the 33-track compilation debuting below. Blooming (A Fuzz-Fucked Compilation w. r/cassetteculture) crosses genres with the love of tightly wound magnetic tape and scuzzy guitar sounds. In the past, labels that did compilations only took entries from bands/labels that were part of that small community, but I decided to make it open to everyone and anyone. I did a lot of promo for it—advertised on social media for a month+ and I also reached out to a few bands that I thought fit the bill (fuzz sound and have released cassettes before) that are either friends or bands I know through music blogging. Of course, I also added a few FYR bands. From Lurve’s anthemic scuzz rock to Post Child’s buzzy west coast garage vibes, Vomitface’s neo-grunge and Chat Log’s neck-breaking basement punk, there’s a lot of genuine and powerful songs that make this comp hard not to go back to. 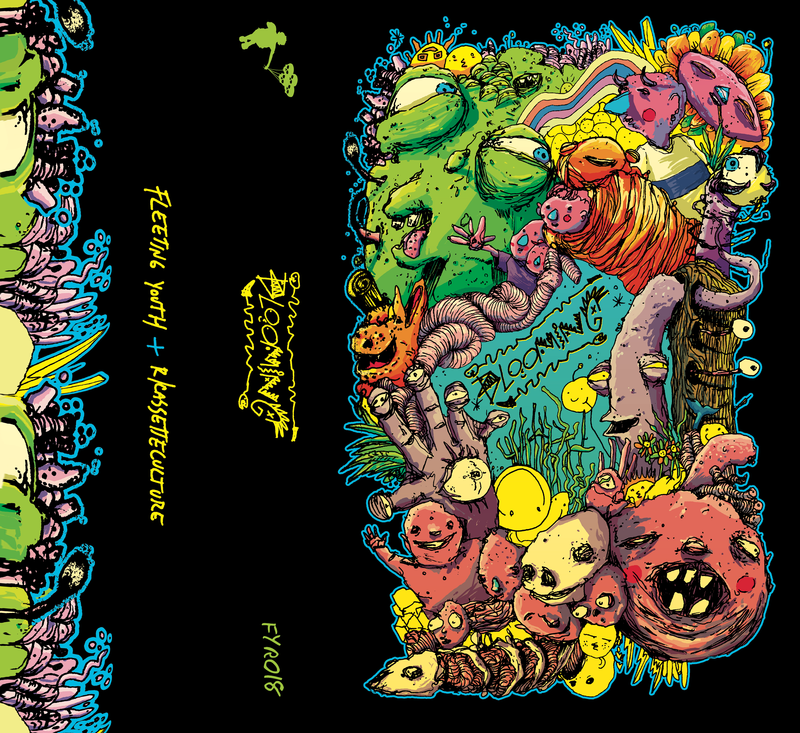 Ryan managed to squeeze all 90+ minutes of fuzz-fucked songs onto a single cassette too, featuring hand-drawn art by Valentino Tettamanti. You can stream the premiere of Blooming (A Fuzz-Fucked Compilation) below. The physical tape is available for order on FYR’s Bandcamp.